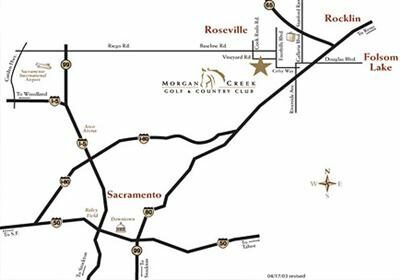 Morgan Creek is a 546 acre planned unit development. A total of 579 homes were built. 64 of these are patio style homes that we refer to as villas. 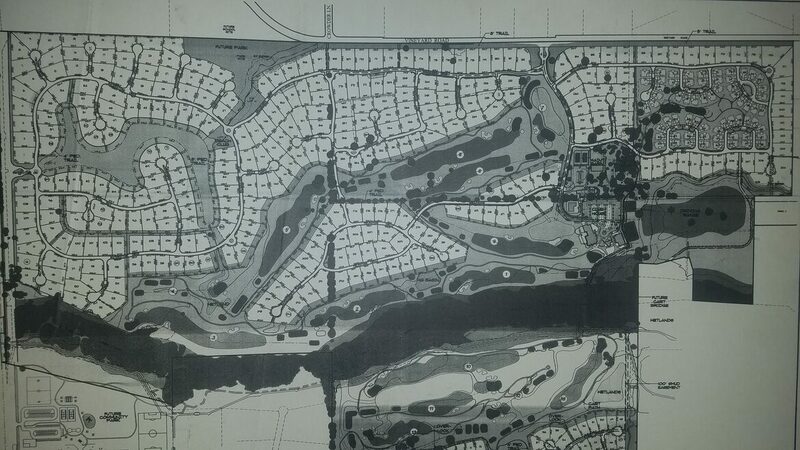 The Villas were built by Lakemont homes now known as Silverado Homes. 190 homes were built on the south side of Morgan Creek by William Lyon Homes. The William Lyon homes are all on lots between 10,000 and 12,000 sqft. 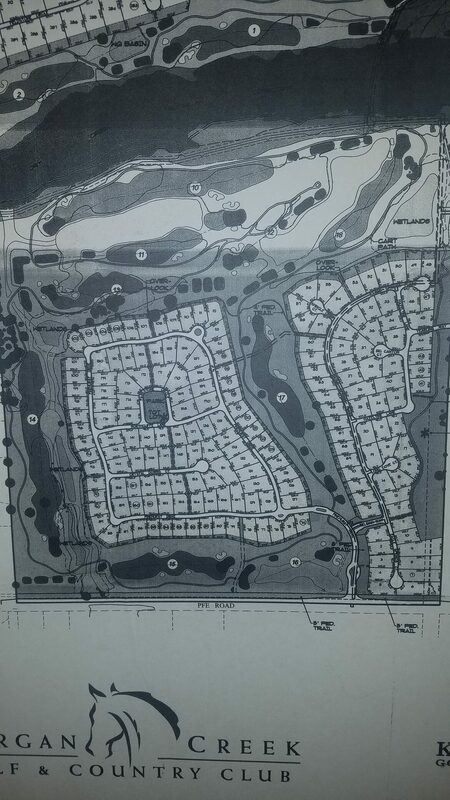 Another 325 homes were built on the north side of Morgan Creek on lots over 20,000 sqft. Lakemont homes, JMC Homes and individual custom home builders were the main builders. Morgan Creek has walking/biking trails running through-out the community. It also has a creek known as Dry Creek running right through the middle of the community. The Dry Creek flows year round . At least it has run every year since I lived in Morgan Creek (2005). The creek area is a riparian corridor consisting of 45.4 acres and the county maintains this area for walk, horse back riding and biking. There is both an asphalt trail and a dirt trail that runs along the creek. During the summer a lot of kids and adults can be found down by the creek cooling off. The sparkling blue 6.8 acre lake is a centerpiece of the community. The lake has a great aerating system that keeps the water moving and it also has some deep sections that allow the water/fish cool temperatures. This prevents algae growth on the lake. I have never seen an algae bloom on this lake. The signs say no swimming and no fishing but I have heard that some of the neighbor kids do a little bit of both in this lake and that the fishing is actually very good. Of the 546 acres 48% of it is open space. 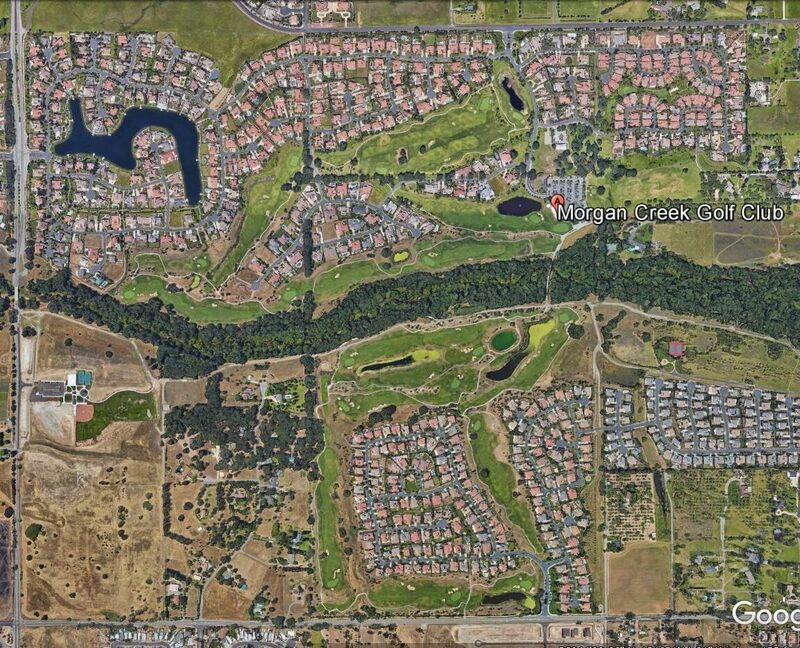 Morgan Creek has over 260 acres of open space. Another feature in Morgan Creek is the 18 hole putting course. This runs in the middle of the villas. 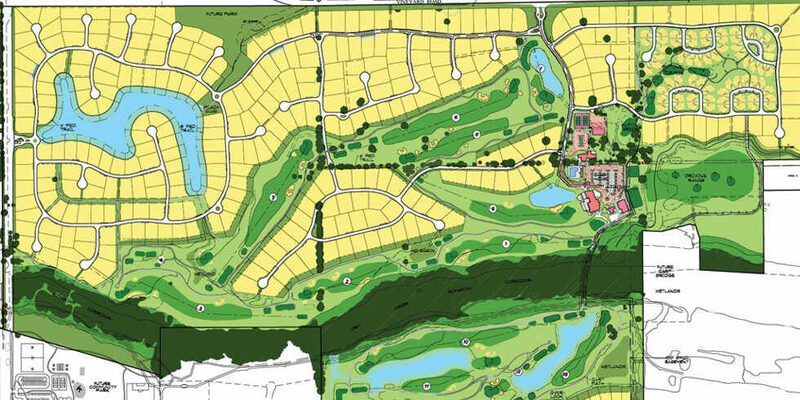 The gold course maintains the putting course and is open to all Morgan Creek residences. Adjacent to the putting course is 2 Bocce ball courts. The HOA are maintains these for everyone’s enjoyment. All the streets in Morgan Creek are private and maintained by the HOA. The greeters at the entries are there 7 days a week for 24 hrs a day. We also have a roving patrol that ensures our safety and checks on parking violations. There are so many great things about this neighborhood it is hard to fit it all into one page. If you have any questions or comments I would love to hear from you. 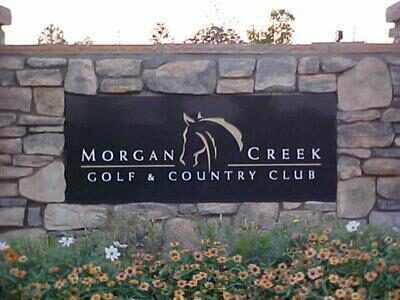 I have spent the last 15 years living and working in Morgan Creek. I sold all the custom lots for the developer and we were one of the first people to build a custom home in Morgan Creek. We thoroughly enjoy living in this community.